The Drush Make Generator (http://drushmake.me) is a very handy for auto-generating Drush makefiles. 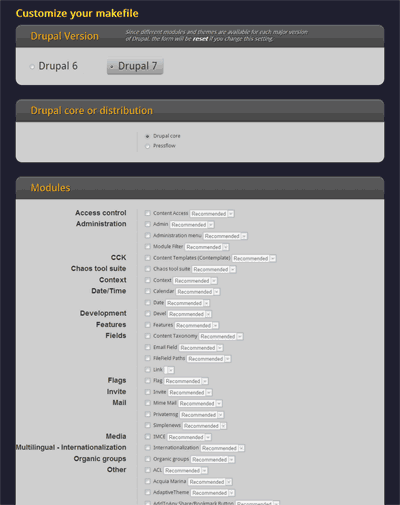 In a nutshell you choose your version of Drupal, if you want to use a distribution, and what individual modules, themes, libraries you want included. Wondering what a 'makefile' is? Using makefiles in conjunction with Drush, you can download and auto-install Drupal sites. This includes downloading the latest Drupal core files, along with any other presets defined in the makefile, eg. modules and themes.